An investigation is underway after a company allegedly conned line dancing fans out of hundreds of thousands of dollars with the offer of fake trips. 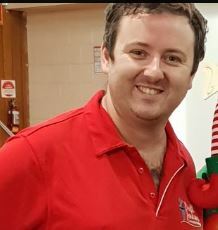 Queensland Police have received more than 70 complaints from members of the public across Brisbane, the Sunshine Coast and the Gold Coast after punters paid in full, only to have their holiday cancelled with no refund provided by company ‘Line Dancing with Brett Jenkins’. Brett Jenkins, 37, and his father Bruce Jenkins, 66, are being urged by police to come forward. It is believed, the younger Jenkins may have information relevant to the fraud investigation, with losses totalling more than $120,000. Senior Sergeant Ken Rogers said the investigation relates to transactions over the past six to 12 months, with many of the people targeted being elderly. “We’ve got 100 victims at this point in time and that number is growing by the day,” he said in a media conference on Monday. Sergeant Rogers said police believed some victims had previously been on legitimate trips with the company, which was believed to have been operating legitimately until about a year ago. “This company has been operating for a period of 15 years,” Sergeant Rogers said. “It’s over that time they have established a trust and a rapport with a number of the victims. The Department of Fair Trading is also assisting with investigations. Meanwhile, many victims have taken to the company’s Facebook page to express their disappointment. “This person and his father are grubs and deserve the full weight of the law thrown at them. They are [liars] and dishonest. Man up and face the music you pair of grubs,” one commentator wrote. Have you been following this story? Do you know someone who has travelled with this company before?